After a series of crimes sweeps the Bear Country School, the cubs begin to jump to conclusions. With a gentle reminder from their teacher that no one is guilty until proven innocent, the cubs try to keep their minds open. That is, until the thief is discovered, and everyone is shocked. Who could it have been? The Berenstain Bears Chapter Books are the perfect next step for increasingly independent young readers. 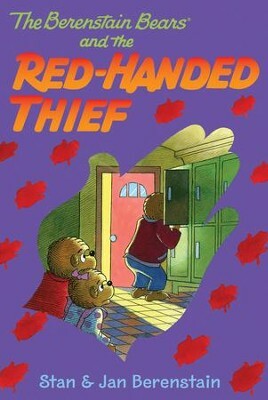 I'm the author/artist and I want to review The Berenstain Bears Chapter Book: The Red-Handed Thief - eBook.